I was speaking to a friend the other day about how to think like a minimalist. She wanted to know what it meant to be a minimalist and if it was something she should try herself. I thought it would be a good idea to share with her some practical ways minimalists think on a day to day basis. This way, she can determine if it’s something she’d like to try. 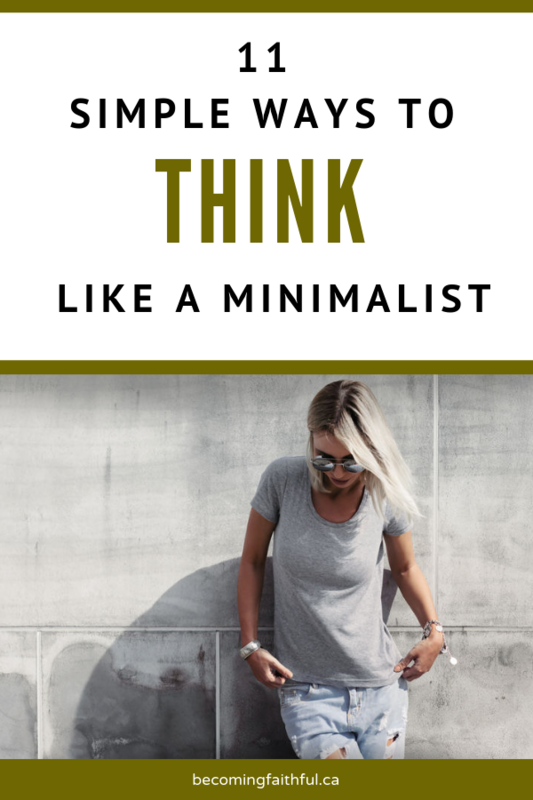 How to think like a minimalist? A minimalist is someone who pays close attention to what they allow in their lives. Minimalists are very intentional of their consumption patterns. They focus on things that enhance or benefit their life – and remove the negative things in their life. There is definitely a mind shift in the way minimalists think – so I shared with here the top 11 things I do as a minimalist. 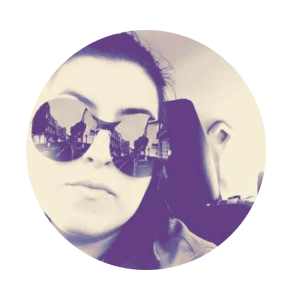 Of course this list isn’t extensive – but it gave her a good idea of what it might be like if she decided to try to live with less. Minimalists automate everything. Everything! From home to work, my mantra is “how can I make this automatic” where I don’t have to think? At home, we set up automatic payments for all monthly bills. I remember the first month after set up – all that came from my mouth was “wow”! The day we automated our bills was the day a huge weight lifted off my chest. We never have to to worry about paying a bill which means it’s one less thing I have to think or worry about. At work, I am always using delay delivery with my emails. I do a lot of training over a period of 5 weeks – which requires me to send out an agenda and follow up emails for each week. I’ll set up the emails in one sitting and then set up a delay delivery over the next 5 weeks. This automation has saved me so much time and removed much of my stress trying to get each email out each week. Minimalists are very intentional about their time – and can say no to requests and not feel guilty. This is something that took me a while to learn. And, it happened it two parts. The first part was learning to say no, the second part was not feeling guilty about it. Every year I make a list of 5 things I want to focus on. The list changes from year to year depending on what my goals are. If anyone asks me to do something and it doesn’t align with my goals – I say no. By doing this I remove all decision fatigue. I used to feel guilty about saying no until I realized following this “rule of thumb” gives me permission to say no. And, be okay with it. No guilt because it doesn’t follow the guidelines I’ve set out at the beginning of the year. Minimalists are intentional about getting key stuff done so they can check it off their list. Being proactive is something minimalists are very serious about. They know if they procrastinate – their to do list will be nagging them which is what they try and avoid. This means we haven’t even tackled our own priorities before we’re responding and reacting to other people. Something I do to tackle my key priorities first – put my phone on airplane mode before bed. When I wake up, I don’t take my phone off of airplane mode until I do at least one thing on my to-do list. After that key priority done, then I’ll tackle other things. Minimalists plan the night before so they are ready for the next morning. Every minimalist is different. Some wear the same colour of clothing every day so it eliminates having to decide what to where. Others put out their clothes for the full week. It depends on the person. Make our pot of coffee so all we have to do in the morning is tap the brew button. Fill up my essential oil diffuser so all I have to do turn it on. I don’t have to fiddle with water or oils in the morning. I don’t like to see clothes out at night as it makes me feel cluttered. So, what I will do is look in my closet and choose what I’m going to wear the next day. Having this routine means I don’t waste any time in the morning. I can get straight to my morning meditation before I head to work. Minimalists do lot of reflecting, understand who they are and what they allow into their space. Most minimalists I speak to say they spend time alone reflecting. They will meditate, journal, do yoga, whatever they need to do to reflect on their life. They know who they are because they’ve had to figure out what’s important to them. Spending time in introspection is something I’ve been doing for a few years now. I wake up an hour and a half earlier so I can meditate and journal. This time spent reflecting is what set me on this path of minimalism. Check out my 15 minute journal process I do in the morning. Minimalists keep their digital lives clutter free too! We live in the digital world – where our inbox has the ability to get overrun with junk and unnecessary emails. A cluttered inbox can distract us and cause us much stress since it never feels like we’re done of our to do list. A friend taught me a few years ago how to clean out my inbox. – daily. Because there is a “search” function – you don’t have to leave things in your inbox. Any emails you can respond to – respond and then file it away immediately into a “master folder”. Any emails that you need to follow up with, but can’t answer right now – create a task and file it into the “master folder”. You can even copy and paste the email into the task you created. If you need to go back to it, you can go back to that master folder and search it by the sender. If it’s an article you want to read later – you can create a folder called “to read” and then file the email in that folder. So, by the end of the day, you should have zero emails in your inbox. Believe me – the feeling of a clean inbox at the end of the day is priceless. Minimalists do not spend time criticizing or in negativity. Bad news goes viral – it travels so fast and then we dwell on it. People will blame whoever is easiest and then spread it to others. Minimalists don’t do this because their goal is to not allow toxic energy to enter their lives. It’s a distraction. Minimalists choose to not waste their time on this negative energy. As soon as negativity enters my space I can feel it right away. It can be someone who is blaming someone else, or someone complaining. Because I’m more aware of it now, I immediately have to do something so it doesn’t distract me and pull me off course. 2. ask the person who is complaining to tell me 3 positive things that has happened in the last 24 hours. As soon as the negative person shares some positive things in their lives – the energy takes a 180 shift. It’s amazing to watch. Minimalists are very intentional about their time. They want to spend time doing things that add value to their lives. Which means they need to be aware of things that waste their time. Being intentional with my time is something I’ve focused on this year. As I mentioned above, I put my phone on airplane mode until I get my number one task done for the day. .
What I’ve also done is block off times in my calendar to focus on “high priority” items as well as “check emails”. When I get to work in the morning the first hour I spend doing “high priority” things – I do not check emails. I’ve shut the notification for emails off and only check emails at dedicated times. Since making this change I’m much more productive during each of those blocked off times. And, I’m not reactive to anything – in fact, doing this has made me even more proactive. The best part is I’m in control of what I do and what times. Minimalists understand the difference between wants versus needs. There is a big difference between something we want and something we need. The debt to income ratio is at an all time high now and one of the reasons is because people do not know this difference. They want it so they buy it. Minimalists don’t think this way. They are very conscious of where their money goes and what they buy. My husband and I are on a path of living debt free. 10 years ago we were $50,000 in debt and stressed! Now all we owe is a mortgage and we are on a plan to pay this off in 3 years. Anything we buy now we ask – is this something we want? or is it something we need? If it’s something we want – how does it align with our goals and what we want to achieve in the future? Try it! Next time you busy something – ask yourself that question. Is it something you need? or something you want? I bet 9 times out of 10, it’s something you want and you decide to not hit that purchase button. Minimalists don’t compare themselves to the people around them. Consumption patterns increase when people compare themselves to others. If friends buy a new car, we have to. If friends go on vacation, we have to. Whatever our friends do or have – we seem to have to match it or one up it. Minimalists don’t think this way. When we were shopping for a house a few years ago – we decided to not buy what our friends were buying. Instead, we bought a modest bungalow with 1200 square feet. When our friends go down south and use their credit card to pay for the trip – we opt out. Sure, they come back with a tan and memories – but also with a $2500 debt to pay off. We’ve chosen not to compare our lives to others and focus on our actions to achieve our goals. Our friends can do and be whoever they want. And we will do and be whatever we want. That’s okay. Minimalists have a home for everything. When people come into our house – they will often ask where all our stuff is. The funny thing is, we are not the type of minimalists who have nothing in our house. The difference is we have a home or place for everything. We don’t have things hanging around. When we finish using something, we put it in it’s home. This makes things much easier to find things the next time we need it. It also makes our living area less cluttered and distraction free. If these 11 ways minimalists think interest you, give minimalism a try! You have nothing to lose – except for distractions, negativity and stress!